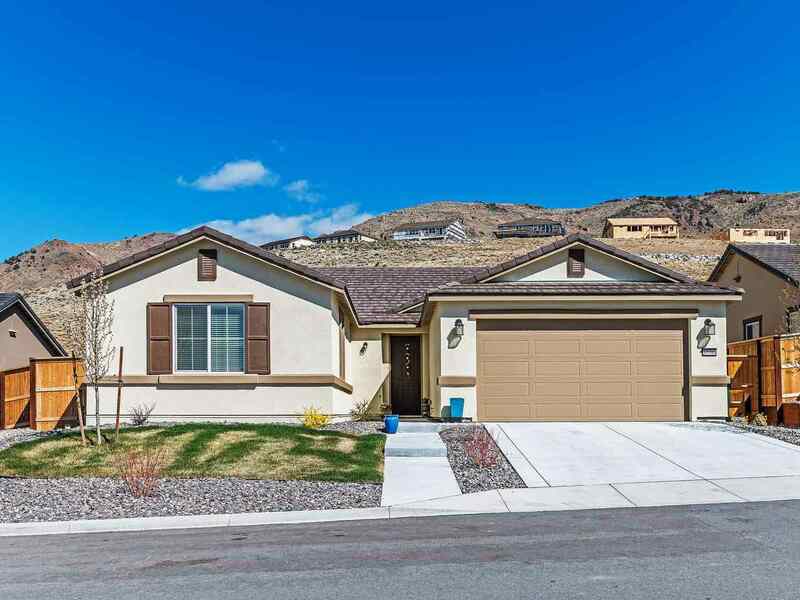 This beautiful and well-maintained single story 4 bedroom, 2 bath home is located in the premier Palisades community in south Reno. A large great room with lots of natural light and an open kitchen with a breakfast bar provide lots of space for entertaining friends and family. The master suite is located in the back of the house, separate from the other 3 bedrooms for privacy. A large walk-in closet, garden tub, separate shower and double sinks complete the master bath.